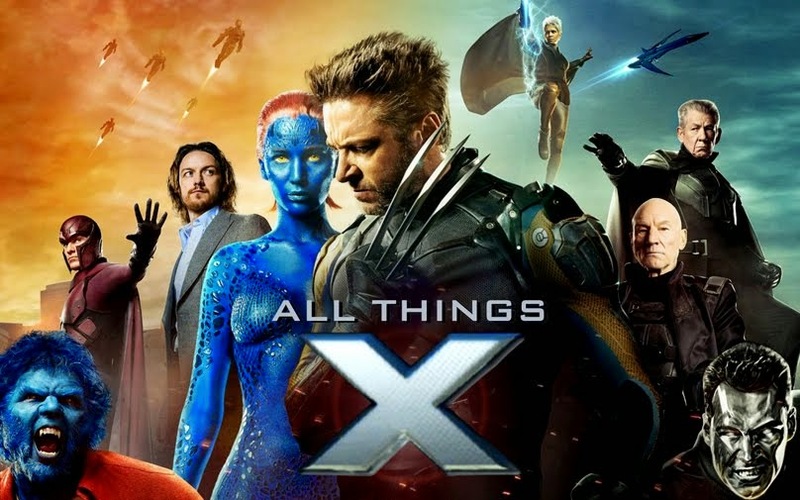 All Things X: Xtraordinary! 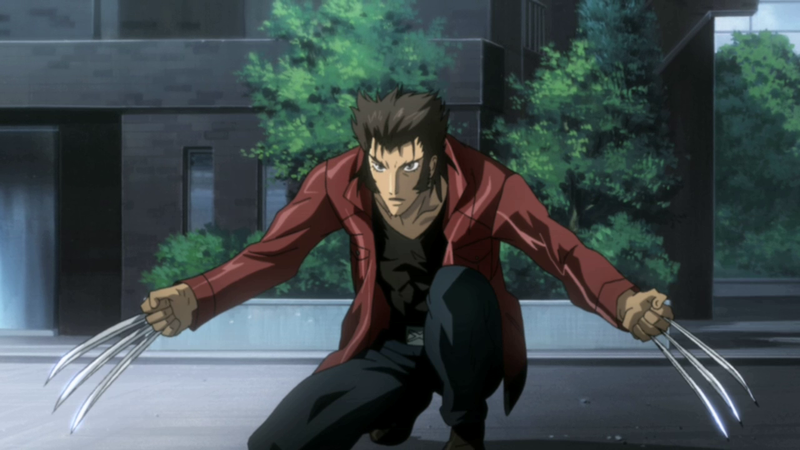 Best Moments of Marvel Anime: Wolverine. Xtraordinary! 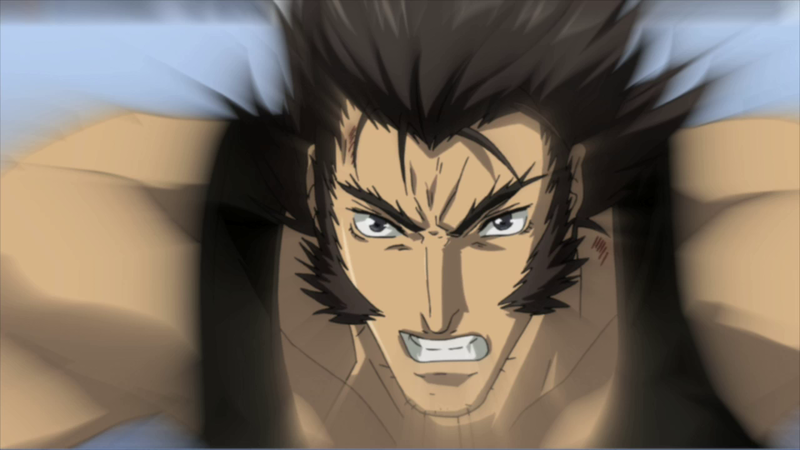 Best Moments of Marvel Anime: Wolverine. 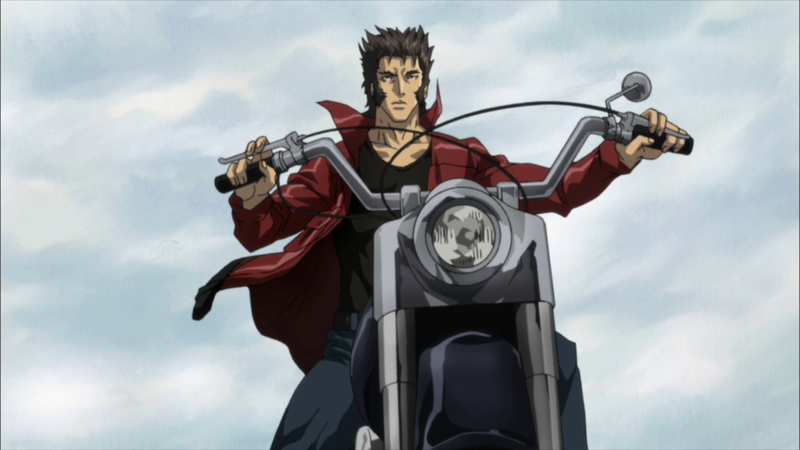 So I finally watched the Wolverine Anime series...I like that it caters to a more mature audience- there's loads of blood & LOADS of cussing! :D DEFINITELY how Wolverine needs to be served up! One downside for me is that each episode ends with a cliffhanger & the next episode always starts with a slight replay (not a recap) of the climax from the previous episode. It just feels like a waste of time when you can just jump straight into the newer developments. Another downer for me is actually Milo Ventimiglia voicing Wolverine. I was a big fan of the guy during his Heroes days, but here sometimes it just feels like he tries to overdo & force out the gruffness in his voice just to sound more Wolvie. You'll also find that they got very lazy in naming the episodes. :P Most of em are named after different characters & sometimes it doesn't even make sense! On the whole it's a gritty Wolverine series, something that especially caters to an older audience. 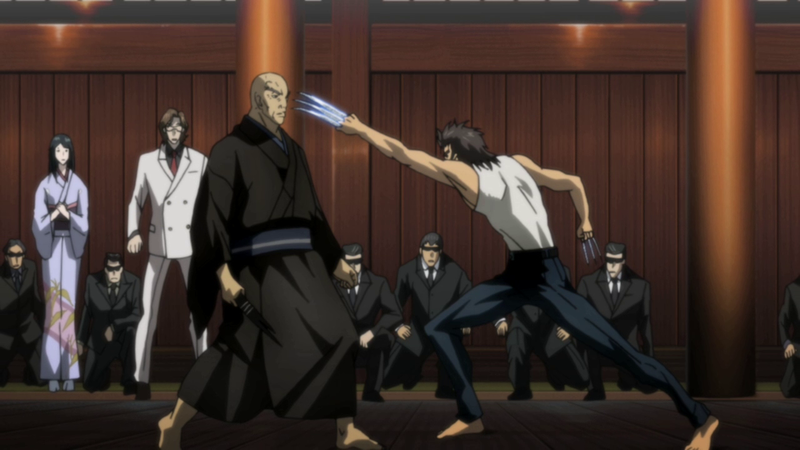 Read on to know my favorite moments from the Wolverine Anime...It may get slighty spoilery if you haven't seen the series, but do scroll down right to the end of this post to read my final verdict & rating for the show! Ep 1. I loved the focus on the Canadian Gold, hinting towards Logan's Canadian origins & the X on his belt buckle is a nice touch. This episode succeeded in showing off his sense of smell & also highlighted the fact that he doesn't need his claws to go all badass on the baddies. 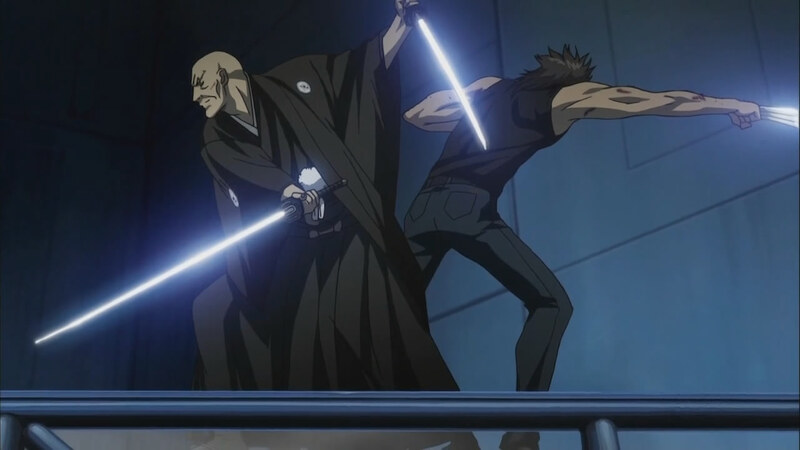 The whole setting of the fight in Shingen's house reminded me of The Matrix training fight. Ep 2. The action scenes in this episode made me wish I saw stuff like this in an X-movie (ESPECIALLY a Wolverine movie! 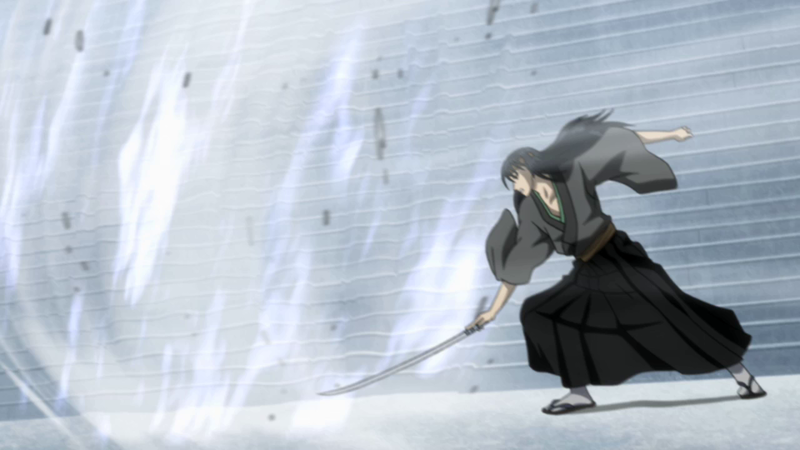 )- Yukio's aerial combat, the kickass character of Kikyo Mikage (voiced by Steve Blum). 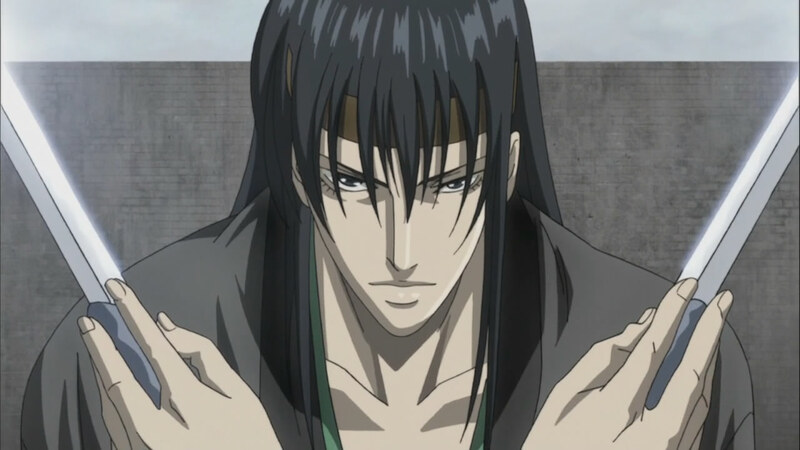 Although Kikyo looks like a chick, he talks & fights like a man- quite a lethal combo lol! Ep 3. Had a few issues with this ep- hated the way Logan & Yukio look when they run :P And imo, Wolvie would NEVER run away- no matter who shows up on the scene! I also hated how it took SO LONG for Logan to heal that little scratch from Kikyo's blade when he's previously shown to heal bigger wounds much faster! On the other hand I love Yukio's badass character & her flying "Tron" disk & how she's always got Wolvie's back (which is rare for him :P). Omega Red makes his entrance! Ep 4. One thing this series DOES have is some good dialogues that really make you crack up! The fight between Logan & Omega Red in the warehouse took me back to the 90's Spiderman cartoon where Spidey fought off Doc Ock's metallic tentacles in a similar setting. The duel between them however are so long drawn out that things become a bit repetitive & Omega's almost Frankenstein-like Russian accent repeatedly demanding for his synthesizer gets quite funny after a while. Ep 5. The repetitive brawling continues (sigh), but once Wolverine gets the upper hand it's all slice-&-dice-&-everything-nice! AIM make their first appearance. Their otherwise dorky looking costumes have been very well redesigned & updated. LOVE when Omega Red calls Kikyo (see below) a "girly-boy" LMAO! The episode ends with a VERY special guest appearance! 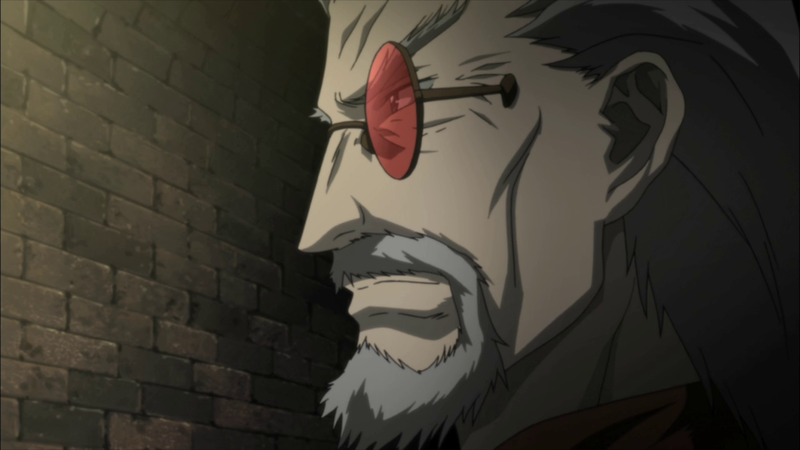 Ep 9 It's fun to watch Logan & Yukio jointly outwitting the notorious Hell Road! Yukio is one tough chick! And watching a flying disks take out the goons NEVER gets old! Geez! This Hell Road is like something straight out of Wipeout or Takeshi's Castle! Ep 10 LOVE the always entertaining interactions between Logan & Kikyo! I LOVE how Kikyo is now become a grey character & not a complete baddie- guy's got ethics! It's hard to believe an assassin like him has such integrity- that's part of his charm as a character. Vadhaka returns, & just when you think that Logan is FINALLY fighting an opponent without help from anyone else, Kikyo aids him! The episode ends on a bittersweet note. Final series verdict: I loved the tone of the series, the action, the Japanese characters (Kikyo, Yukio & Shingen) & the whole love story between Logan & Mariko (which we haven't witnessed much of in any TV series or movie until now) BUT sadly where the series fails in my opinion is with Wolverine himself. He's shown here fleeing from fights & constantly relying on other individuals to get him out of sticky situations! That is HIGHLY un-Wolverine imo & it makes Logan's "X-factor" go down in my book by not just a couple of notches! For that reason alone this series gets a 6/10, when it could've in fact gotten at least an 8 if not for this major flaw in a "Wolverine" series. I heard a lot about this series. Too bad it didn't live up to it's premise. It sounds like it just wasn't faithful enough.